After a week of a seemingly incessant flow of bad news on the Boston Celtics injury front, things are getting better, at least a little bit. 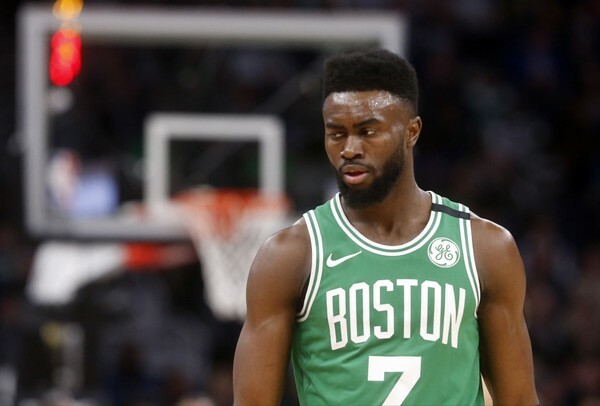 Jaylen Brown is listed as probable by the Celts, marking his first return to action since a nasty fall against the Minnesota Timberwolves on March 8, over two weeks ago. But it's not all good news - Marcus Morris, carrying the lion's share of scoring in Kyrie Irving's absence - is listed as out due to right ankle sprain. Celtics announce Marcus Morris is out with a right ankle sprain tonight. No word on when Mook might return, but given he played through it after hurting it against the Portland Trailblazers, it's quite possible this is more of a precautionary measure to make sure what was likely a lower-grade sprain doesn't nag Marcus throughout the early rounds of the playoffs, where his scoring will be greatly needed in Irving's absence. The best news for Boston on Irving: The fractured patella Irving suffered in '15 Finals has fully healed, and Irving’s knee has been found to be completely structurally sound, per team. Speaking of Irving, who has been missing time first in trying to avoid surgery and now after receiving it, word he may be back in as soon as a month has bolstered Boston's sagging playoff hopes, and there's even more good news to be had in the wake of his operation. Evidently, there was much concern the operation might uncover additional damage, but exactly the opposite has proven to be the case. This might not seem like a big deal right now, but long-term, it suggests Kyrie may be better-positioned to avoid bigger problems down the road, though as with all surgical procedures and the human body more generally, nothing is ever certain. That said, however, the rash of bad luck plaguing the Celtics seems to be abating at exactly the right moment.